As a result, Justice Oppong asked the prosecution to ‘formally’ file the application for the defense to respond so that the court could give a ruling on the matter and adjourned the case until August 23, 2010. The police could not even bring the accused persons to the Fast Track High Court for the trial. 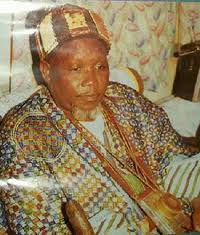 The only one who was present at the trial was Iddrisu Iddi a.k.a Mbadugu, believed to be in his eighties. He managed to appear before the court because he is currently on police enquiry bail but all the rest are still in custody. Those committed by the Adjabeng District Magistrates Court presided over by Ms. Patricia Quansah to stand trial at the High Court are Alhaji Baba Abdulai Iddrisu aka Zohe, Kwame Alhassan aka Achiri, Mohamadu Abdulai aka Samasama, Sayibu Mohammed, Alhassan Braimah and Alhaji Mohammed Habib Tijani, 45, former District Chief Executive of Yendi during the NPP regime as 2nd, 3rd, 4th, 5th, 6th and 8th accused persons respectively. The rest are Baba Ibrahim aka Baba Zey, Alhassan Mohammed a.k.a Mohammed Cheampon, Mohammed Mustapha, Sani Moro, Yakubu Yusif a.k.a Leftee and Hammed Abukari Yussif as 9th, 10th, 11th, 12th, 13th and 14th accused respectively. Phillip Addison, counsel for the accused, told the court that the defence got to know their clients were set for the court two hours before the trial. “Evidence will also be led to show that Alhassan Mohammed @ Mohammed Cheampon, Moro and others were seen with guns firing at the Gbewaa Palace on the 26th and 27th March 2002. “That Yakubu Yusif aka Leftee 13th accused person was also holding a gun by the body. That Zakaria Yakubu aka Zakaria Forest (at large) the 7th accused person was seen with a Dorman Machine. “That the 15th accused person, Abdul Razak Yussi,f aka Nyaa, was holding a camera and taking pictures of the scene. That, after all these, another group of men including the above led by Iddrisu Iddi aka Mbadugu came drumming, singing and dancing around the burning body,” the DPP said.